Outlook: The defending state Class B champs return loaded, led by All-Americans Ronbeck and Barry. Outlook: Returns intact after reaching the state "C" final. Duke-bound Samantha DeBellis and Kate Kotowski, headed to UNC, bolster deep offense. Outlook: Nassau Class B runner-up returns a strong core, including Hofstra-bound midfielder Darcie Smith. Outlook: Eight-time defending Nassau "A" champs return key offensive pieces, including Florida-bound Alonso. Wahl returns from torn ACL. Outlook: Perennial contender, now led by All-American Adams. Solid attack includes senior Margot McTiernan. Outlook: Deep, athletic group includes Kelly Johansen, Ashleigh Sheerin and Geneseo-bound Temilee Chester. Outlook: Nassau "A" semifinalists led by Binghamton-bound Batista. Talented transfer Allison Stackpole adds firepower. Outlook: Quarterfinalist returns solid roster, including a strong goalie in Alyssa Knab (115 saves). Outlook: Moves to Conference II after reaching its first Nassau "A" final. Young group, but known for smothering defense. Outlook: Up from Conference II after reaching Nassau "A" semifinals. Led by Sacred Heart-bound Cesario, a rising star. Outlook: Balanced group with good depth also features midfielder Hannah Sofield and defender Melissa Marry. Jessica Del Rossi A Jr.
Outlook: Young team on the rise, led by Denver-bound star DiChiara. Solid midfield includes Allyson Banes. Outlook: Nassau "A" semifinalist in five of last six seasons enters new phase with new coach. Claudia Hanover is a talented young goalie. Outlook: Nassau "C" runner-up led by dynamic Yu sisters and Hauser. Ashley Duggan and Shelby Cook provide good depth. Molly Van Duesen D Jr.
Outlook: Graduated seven after reaching Nassau "C" semis. Northwestern-bound Palermo leads fast, defensive-minded midfield. Outlook: Reached the "C" quarterfinals and returns its core, including Wagner-bound Bleistein and leading scorer Palagonia (71 points). Outlook: Treuman is team's inspirational leader, and Christine Collins and Olivia Levy are poised for breakout seasons. Outlook: Young team, but has a potentially explosive offense. Halpern has great quickness and field vision. Erin Vaughan Ware A So. Outlook: Rebuilding after making Nassau "B" playoffs, but Vaughan Ware (39 goals, 24 assists) is a budding star. 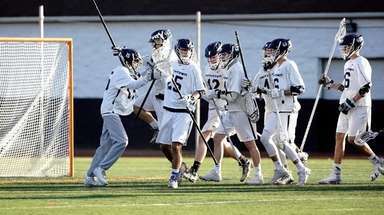 Outlook: Reached Nassau Class A quarterfinals but returns young group, led by Hunter Isnardi (42 goals). Outlook: Enters a rebuilding phase, but has solid components in Fowler (42 points) and Clarke, an athletic defender. Outlook: Returns a talented offense, led by Patick (63 goals) and Binghamton-bound Gordon. Outlook: Experienced group led by Cincinnati-bound Cohen, who excels in transition. Shientul made 171 saves last year. 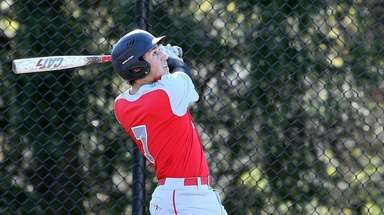 Outlook: Nassau "C" semifinalist is retooled, now led by Wesleyan-bound Sgaglione. Outlook: Young team with a new coach, the Frogs will use their athleticism with high-pressure defense. Outlook: Jenn Wahlig is an explosive scorer and Brianna Ventola and Adrianna Cano help anchor improving defense. Outlook: Towson-bound Sulmonte, who starred as a sophomore, returns after missing most of last season with an injury. Outlook: Rebuilding season, but Rosenblum is versatile and Migden excels defensively and on draws. Outlook: New coach seeks to expand offense. Freshman midfielder Cat Fatehi has tremendous upside. Outlook: Returns several defenders from a solid unit and Guido (29 goals) is a capable scorer. Outlook: Athletic group led by Gilroy, who sparks a potentially explosive offense. Outlook: Rebuilding team, but Sparrow is talented and productive, now assuming leadership role. Outlook: Struggled last season, but returns several key players who are more experienced. Outlook: Athletic group with some potential, including Ritchie, who scored 21 goals. Outlook: Rebuilding, but finished last season on a three-game win streak. 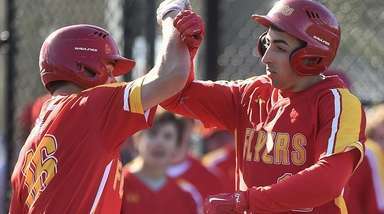 Ianelli and Fater are productive offensively. Outlook: Balanced offensively with shifting, interchangeable players and aggressive defense. Outlook: Experienced group led by Marymount-bound Stacom, a facilitator with great game sense. Oneonta-bound Bascelli is a strong leader and an aggressive offensive force (36 goals). Outlook: Rebuilding team, but does have potential with Kranis, who scored 40 goals last season. Outlook: Up from Conference V after tying for first place. Athletic group seeks to build on its success. Outlook: Improved by six wins last season and makes jump from Conference V to IV. Outlook: Transfer Hannah Woodward is a great scorer and Wain (25 goals) has potential. Outlook: Very young team, seeks to develop skills and build cohesiveness. Outlook: Last season's conference co-champ hopes to continue progression. Outlook: Returns most of its core, including solid defense. 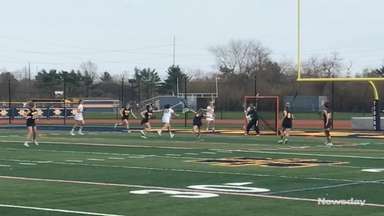 Offense sparked by lefty attackers Greenbaum and Lerner. Outlook: Talented young group includes freshman midfielder Taylor DeAlessandro and sophomore Lisette Polomo. Outlook: Improved by four wins last season and seeks to build on that success. Outlook: Returns entire attack group and expects to contend for conference title. 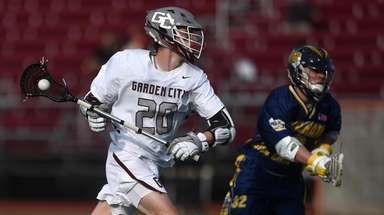 Outlook: Led by Ford, a versatile athlete, and Santoli (129 saves). Woo is a shining up-and-comer. Outlook: Joseph is a solid scorer and can improve on last season's 21 goals. Outlook: Young team led by Albany-bound speedster Greene, who is one of two seniors (Sandra Garcia-Henriquez). Outlook: Winless in its inaugural season but continues to build.